If there is a question you hear from patients a lot or one you just think your patients and people on the internet need to have answered, then you should consider getting it knocked out on the keyboard verses just answering the question time after time. Not only will you help your customers better understand how to improve their spine health but it might also create a little ‘search engine’ (SEO) juice for the ol’ website. Well, if done right that is. Whether it is my Express Chiropractic Franchise doctors/owners or our clients through Successful Chiro that we are asking to write a blog post, sometimes it feels to us like we are asking them to walk the plank. They are reluctant and drag their feet to say the least. With the New Year approaching, it’s time to renew your efforts for promoting your practice with renewed passion and precision. Blog posts as part of your overall digital marketing strategy is a big part of those efforts. Why is writing a blog post so painful? 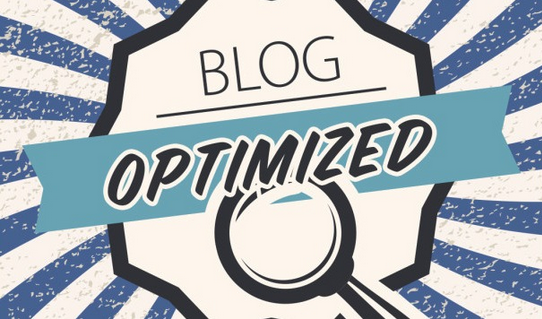 Why hesitate in writing quality blog posts for your website, should be asked, when it can be so impactful on the overall health of the website and ultimately lead to better chiropractic search engine rankings for your office? The answer on why chiropractors seem to have a hard time consistently adding quality blog content is simply, it is hard to write a blog post that has any value. It is hard especially with what the experts are showing as the current guidelines the search engines are looking for when considering your website as a result for a search query. The benefit of adding blog posts to your chiropractic website. What does a well crafted chiropractic blog post look like? In case you haven’t picked up on it yet, it just flat out takes effort if you want your chiropractic website to be in good favor, i.e. good search results, with the search engines like Yahoo, Bing and Google. Blog articles are one of the primary vehicles that will accomplish this goal. What do you need to craft a quality chiropractic blog post? Well, below I posted a couple of great articles that will lay it all out for you. Herein I will give you a few key real world pointers. In essence, according to one of the articles, the best length is a read of about seven minutes. This translates to about 1600 words total. The good news is that anything over a thousand words but under about 3000 will seem to hold its weight in value. The number of keyterms that relate to the article topic used in the text body, and the quality of the writing will also give the much needed boost to the ‘perceived value’ from the reader and the algorithms used by the major search engines. So while the down side is that you really do need a pretty large amount of content, the good news for us chiropractors is that if you are writing about something you are passionate about, the words should flowly rather easily. You can also combine topics to up the length a little. For example, ‘The Best Pillow for Better Sleep’ and the ‘The Best Mattress for Spine Health’ may be different posts but can easily overlap in content to at least a small degree. Now, this doesn’t mean you just copy text word for word to use in ‘cross’ articles because that will definitely get you penalized in rankings. However, you can definitely recycle ideas that overlap from one article to the next in a better effort to make your points. When you are writing a post there are two simple ‘keyterm’ approaches you should focus on. First, keyterms that fit the article you are writing. If it is about ‘the best pillow for reducing neck pain’ then make sure you have keyterms like ‘best pillow,’ ‘neck pain,’ ‘reducing neck pain,’ etc. Secondarily, include information about your office and your name. You want to ensure your office and YOU are tied to this awesome post. BUT don’t do it in an upside down fashion. This means that you must keep in mind the article is not about you, it is about Pillow and Neck Pain. If you want to learn more about what the experts are saying about blog posts, check out these great articles. Dr. Daron Stegall is co-founder of SuccessfulChiro.com and founder of Express Chiropractic & Wellness. He can be reach through this website.